Launch managers have set Saturday, Dec. 5 at 5:10 p.m. EST for the next launch attempt of the fourth Orbital ATK commercial resupply services mission to the International Space Station. 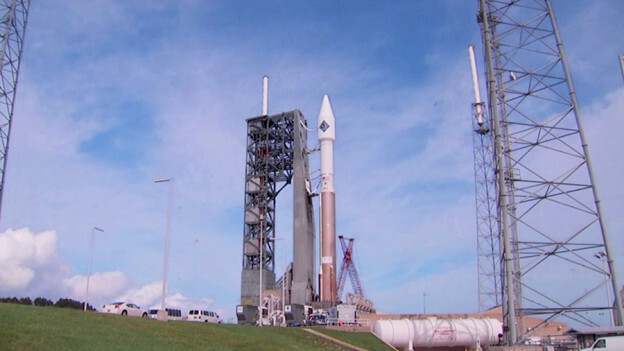 NASA Television coverage will begin at 4 p.m. 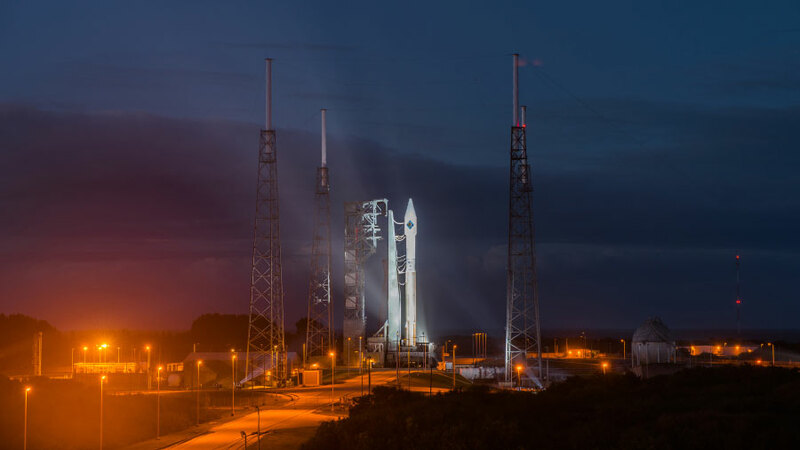 Earlier this evening, the 30-minute launch window tomorrow had a 30 percent chance of acceptable conditions. The Cygnus is loaded with more than 7,000 pounds of supplies and science and research investigations that are important to advancing NASA’s exploration goals on the journey to Mars, demonstrating technologies that drive innovation, and providing benefits to Earth. A launch on Saturday would result in Cygnus arriving at the station on Wednesday, Dec. 9, for a grapple at 6:10 a.m.
Because of thick clouds with freezing temperatures and precipitation that violated the weather rules for launching, Orbital ATK and United Launch Alliance have postponed the planned launch of the Atlas V rocket carrying the Cygnus spacecraft. It is Orbital ATK’s fourth commercial resupply services mission to the International Space Station. The next 30-minute launch window opens Friday, Dec. 4, at 5:33:11 p.m. EST. The chance of favorable weather for the next launch is 30 percent. 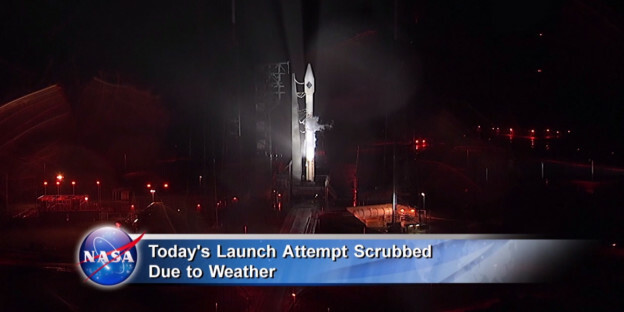 NASA Television coverage will begin at 4:30 p.m. and can be seen online at https://www.nasa.gov/nasatv. A launch Friday would result in a rendezvous at the station and grapple and berthing of Cygnus on Monday, Dec. 7. A new shipment of crew supplies and science experiments is packed inside the Orbital ATK Cygnus spacecraft ready for liftoff today at 5:55 p.m. 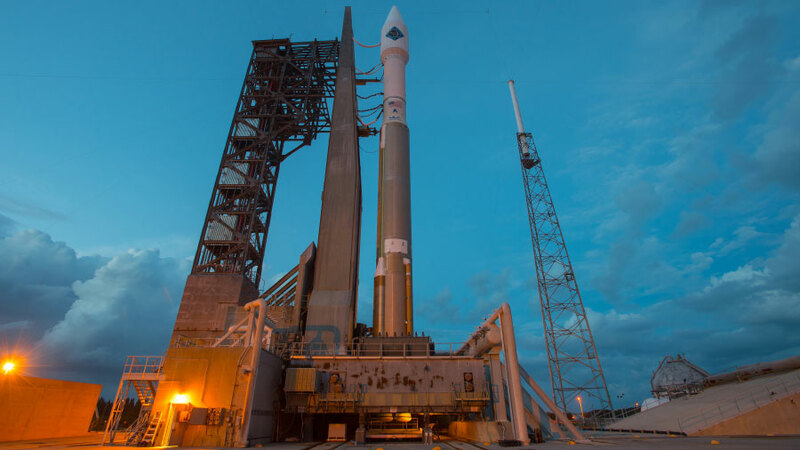 The Cygnus will launch on top of an Atlas V rocket from a launch pad located at the Cape Canaveral Air Force Station in Florida. Cygnus is scheduled to arrive at the International Space Station Sunday morning where astronaut Kjell Lindgren will capture the supply ship with Canada’s 57.7 foot robotic arm. The crew is busy in the orbital lab today exploring the effects of space on life and preparing for Cygnus and a mid-December crew swap. Scientists are observing Commander Scott Kelly and comparing his body to his twin brother ex-astronaut Mark Kelly. The Twins study seeks to understand how a body in space differs from a similar body on Earth. Kelly also joined fellow crew members Lindgren and Kimiya Yui for eye checks. Yui and Lindgren also worked with cosmonaut Oleg Kononenko preparing for their Dec. 11 return to Earth ending the Expedition 45 mission. Three new station crew members are preparing to launch Dec. 15. Veteran cosmonauts Sergey Volkov and Mikhail Kornienko continued studying how blood flows while living in space. Volkov then researched the vibration levels on the station and their possible impacts on operations. Kornienko was back at work exploring advanced Earth photography techniques. 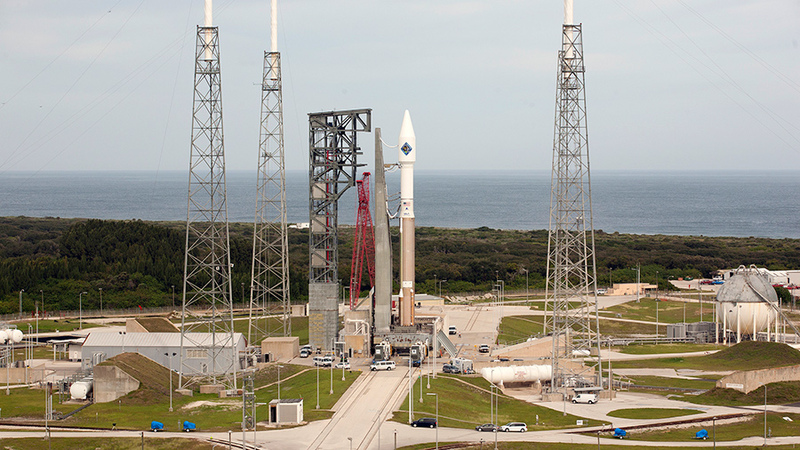 Orbital ATK rolled out its Cygnus resupply ship to the Cape Canaveral Air Force Station launch pad in Florida today. 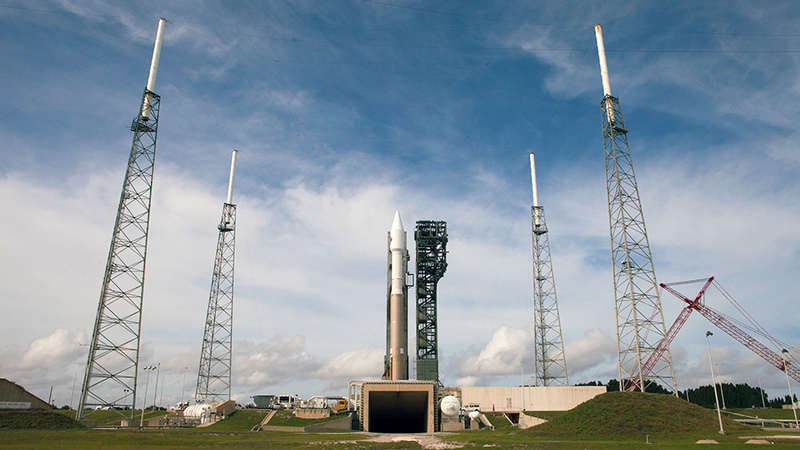 Cygnus will launch atop an Atlas V rocket at 5:55 p.m. EST Thursday. 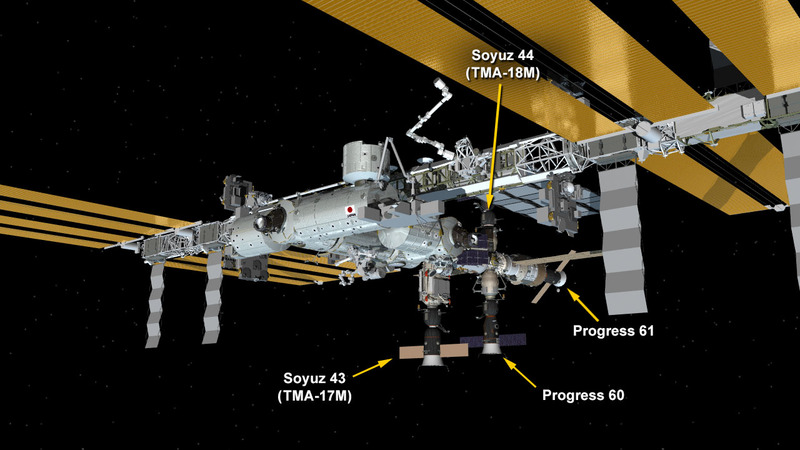 The private U.S. space freighter will deliver new science experiments and crew supplies to the International Space Station crew early Sunday. Amid Cygnus rendezvous and capture preparations, Commander Scott Kelly with Flight Engineers Kjell Lindgren and Kimiya Yui also worked on biomedical science activities today. The trio collected blood and urine samples and participated in a vision test to help doctors understand the effects of living in space on astronauts. Cosmonauts Sergey Volkov and Mikhail Kornienko continued studying how blood circulates in space. Volkov then moved on to an experiment observing how the vacuum of space and space radiation may influence organisms off Earth. Kornienko explored new Earth photography techniques. Lindgren and Yui are returning home Dec. 11 with Soyuz Commander Oleg Kononenko after 141 days in space. The three Expedition 45 home-bound crew members checked the spacesuits they will wear on the way home for leaks. 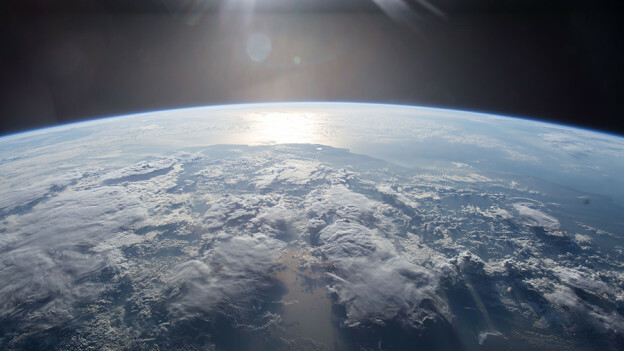 The Sun’s light is reflected off a body of water as the space station orbit’s Earth. A trio of International Space Station residents is getting ready to return to Earth while a new crew in Kazakhstan is preparing to replace them. Meanwhile, a pair of space freighters, the Orbital ATK Cygnus and Russia’s Progress 62 (62P), is being readied for liftoff as another docked cargo craft is being packed before it’s undocking. 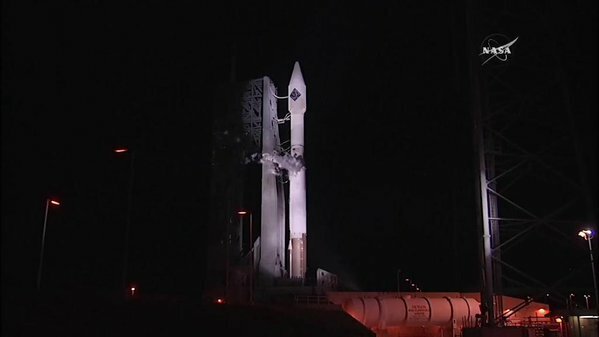 The Orbital ATK Cygnus cargo craft will launch Thursday at 5:55 p.m. EST to the station. The 61P is scheduled for a Dec. 21 liftoff. While mission managers are preparing three different spacecraft for launch this month, the Expedition 45 crew is performing research to help scientists benefit life on Earth and crews in space. The next home-bound astronauts Kjell Lindgren and Kimiya Yui checked their vision and blood pressure today for the Ocular Health study. 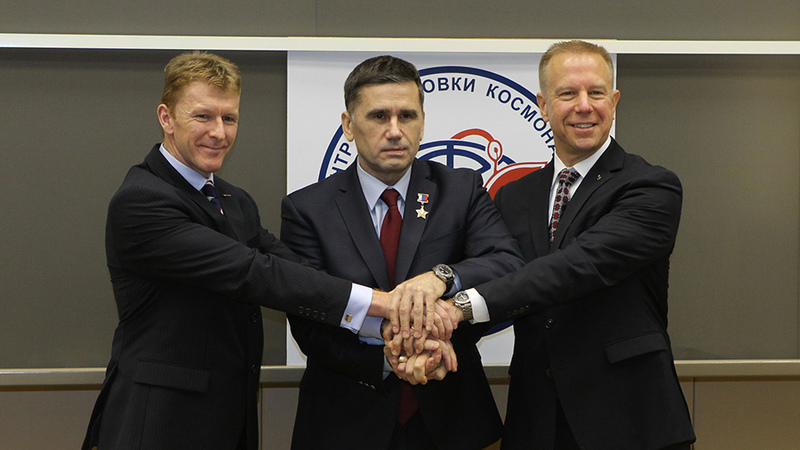 The duo will return home with Soyuz Commander Oleg Kononenko Dec. 11 officially ending the Expedition 45 mission. Kononenko participated in a pair of blood circulation experiments, Cosmocard and Cardiovector, and prepared the Soyuz TMA-17M spacecraft for its departure in less than two weeks. Commander Scott Kelly, who is staying in space until March with Flight Engineer Sergey Volkov and fellow One-Year crew member Mikhail Kornienko, sampled and tested the station’s water quality. Volkov and Kornienko explored veins in the lower body to understand blood flow during a long-term space mission. The next crew to live on the space station, Expedition 46, is at the Baikonur Cosmodrome launch site counting down to its Dec. 15 liftoff inside the Soyuz TMA-19M rocket. First-time British astronaut Timothy Peake is joining veteran station crew members Timothy Kopra and Yuri Malenchenko for the six-month mission aboard the orbital laboratory.